This month is shaping up to be a hectic one for me. So I’ll have to keep Marilyn’s words constantly in the forefront of my mind. All work and no fun makes our loved ones feel neglected. Not a good thing. When there is a little down time to cook, and the weather outside is still frightful, there’s really not much that can compare to a garlic cream sauce. 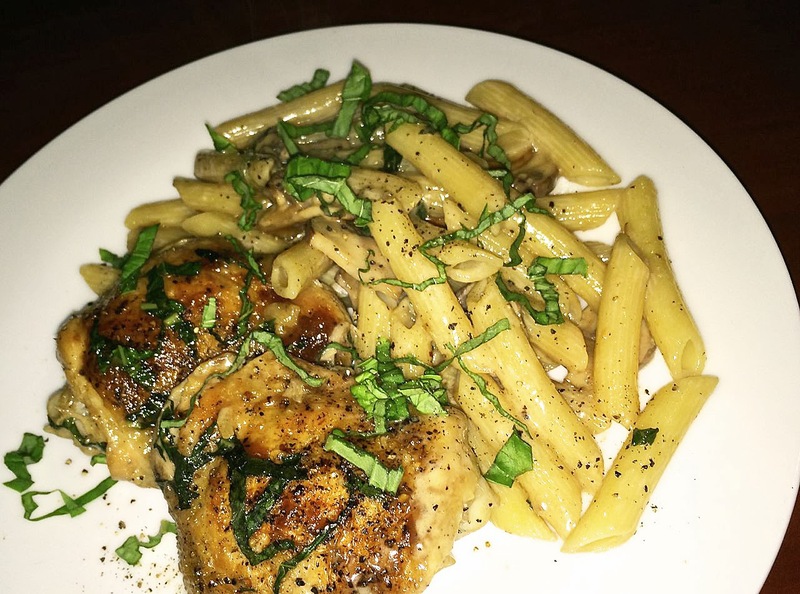 Couple that with basil and tender chicken, and all you’re really missing is a bottle of wine. Oh, and someone to enjoy with with. If serving 3 people, cook 6 thighs; if serving 4, cook 8. Cook enough penne, cutting the suggested time down by 1 minute, for either 3 or 4 people. Keep it warm in water while you cook the chicken. Place the chicken skin side up in a dry, hot pan with a lid. Season with salt and pepper. Let cook until the chicken releases from the surface. Fat will render out as it cooks. Turn the chicken and repeat the process, skin side down. Once the chicken releases easily, remove to a plate. Discard all the chicken fat in the pan except for about 1 tablespoon. Add the chopped garlic and sauté until fragrant. Then add the cream and return the chicken. Sprinkle with half of the chopped basil, cover and cook on medium for about 5 minutes. 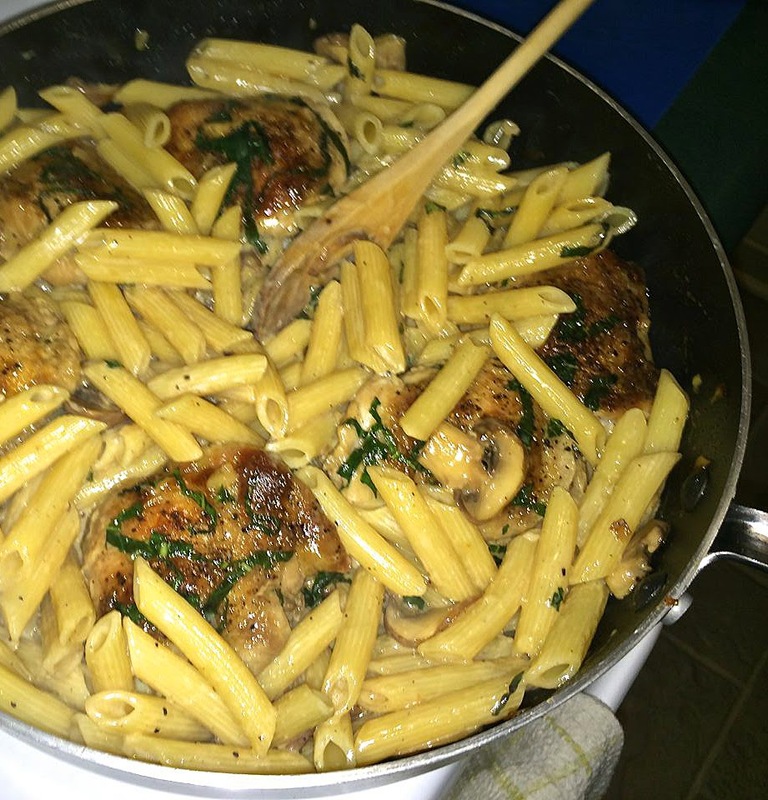 Then add the penne, and let cook until the sauce reduces enough to start to coat the pasta and chicken. Serve with more fresh basil, salt and pepper as desired, sprinkled on top.